Times were easier back then. You know, that familiar sound of the modem happily dialing and churping away as it negotiated the best speed your phone line can support. Today’s post is a bit of a retrospective about the days gone by: Them Dial-up Days. One apology ahead of time: most of this predates when I had a digital camera (and why would I take a photo of a dial-up modem anyway?) so sorry if this is a bit of a text-fest. I recently wrote about LAN Party: a retrospective and I felt like I left out a bit of important history. Interestingly enough, this page is pretty light (by today’s standards) with 1.27MB worth of content to download and would’ve taken about 6 minutes to completely load on a modem! That sound of the modem negotiating a connection means a lot to anyone who used dial-up (or even a fax, but it does sound a little different). Perhaps someone can tell me the phone number at the start? Some trained ears might even be able to tell the baud rate! It was some time in 1996 and I was in first year of high school. We were probably pretty late to the game compared to some people, but it was the first time we had an internet-worthy PC at home, picked up from the now defunct Rod Irving Electronics. It was a beige ordeal, but purchased by my brother and known as the Ritron Classic. It’s looking a bit dusty these days, but the bones are all there. The original specs were quite basic by today’s standards (you couldn’t get Chrome to render a single tab on 16MB of RAM): Intel Pentium 120MHz, 16MB EDO Ram, some sort of PCI-based S3 video card, 12x Liteon CD drive, ESS Audiodrive sound card, 15” CRT monitor, 2.1GB hard drive and a classy NetComm 33.6k modem - bingo! This bad boy was ready to take on the information super highway. Special note about the collection of stickers on the front: it had an upgrade to a P200MMX at some stage, Vet anti-virus (does anyone even remember that? ), my fake company called XLAB Computer Company and the amazing Ritron logo. It was always my brother’s computer of course, but it did help out with my high school homework… and discovering all kinds of things on the web. It was always a disappointment when someone picked up one of the phones in our house which would pretty much immediately drop out the connection. The most annoying part wasn’t really the interruption as such but actually the fact you need to dial in again once the phone call had finished. For most Australians, this meant another local call - which at around 25 cents a pop, would rack up a bit of a bill if you had to keep dialling in again. This was made worse for people who had “call waiting” enabled, so an incoming call would disconnect the modem - but who would be crazy enough to have that on during the call? (I guess you could add the special calling codes to disable it for the modem call). One time I was travelling back from Cessnock with my parents after Dad had his car serviced and we noticed the ‘battery’ light on the dash was faintly glowing. From a faint glow soon became a much strong red light: the car was running low on battery power. This is an unusual event in a car because the battery is always “topped up” with the help of an alternator, but not so on this journey for some reason. Eventually, the car powered down as it ran out of residual energy somewhere along the Putty Rd. For those unfamiliar, the Putty Rd is a 170km long road from Wilberforce to Singleton. 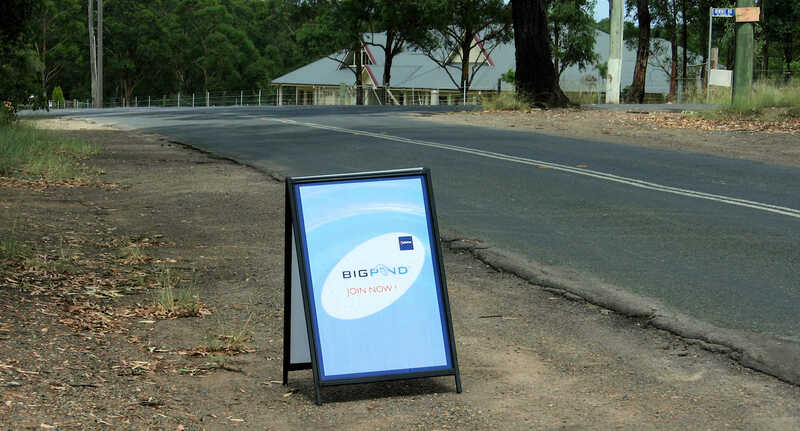 Probably more formally, it’s the Singleton Rd and it doesn’t even go to Putty, but everyone just calls it the Putty Rd. We left the powerless car on the side of the road (the central locking could barely operate the locks, groaning as the key was turned) and managed to flag down a passing truck and hitch a ride along to the outskirts of Colo Heights, yet another remote locality. The truck driver wasn’t going to hang around to see if the phone worked and dropped us off. Back then, the houses next to the phone were in much better state compared to today and they did have a light on, so I had fears of having to knock on the door to ask for help… but it was OK. The phone worked. What didn’t work, however, is that because my brother was at home on the internet, we couldn’t get through to ask for help. No matter, we called our old neighbour who lived in the next suburb over, asked them to drive over to our house, ask my brother to bring a fresh charged car battery and meet us on the Putty Rd. We only had a pack of chips with us so we ate them and hoped that our neighbour managed to pass on the message to my brother. Thankfully, a couple of hours so later (it felt like a lot longer), my brother turned up, we swapped the battery over and we managed to drive home in the dark without headlights on - trying to save every bit of energy in that battery. It got us home, but only just. This is the essential thing for any keen dial-up user. The freedom to call up your ISP, stride up that onramp onto the information super highway without worrying about someone picking up the phone was totally liberating. The billing was easy too. Anything on that account? Easy. It was the computer. Nobody is making random calls on that phone line. Once that was firmly established, more computers came along. I set up one. Mum had a computer, too. I started dabbling with sharing the internet across multiple computers, starting with software on one computer to share it and then ending up running a Smoothwall with auto dialling ON, the modem sound OFF which resulted in a pretty much permanent dial-up connection. Yay for being 99% available, boo for being so damn slow to download things. It was also good to use commodity hardware (random old PC parts) and that faithful 33.6k modem. I did try a bunch of different modems, external, 56k, soft modems (or “Winmodems” as they were known) but nothing was stable enough to run all the time. One time I even had to get part of the street re-cabled because the phoneline would cause many dropouts which would inturn incur more cost as you dialed back into your ISP again. Eventually, all the big ISPs offered 0198 phone numbers which were designed to be used to dial from a modem with possibly some free/special deals on this type of number. Finally settling on the original modem that we got in the beginning: an internal 8bit ISA non-PNP NetComm 33.6k “fax modem”, which was the first modem we had at home and it was pretty much in service non-stop for 10 years straight, some times up to a month at a time. I know internal modems got a bad rap, but this one was rock solid. I might still have it, somewhere around here, in a box, waiting for the day it rings those familiar tones again. Having such a ‘permanent’ setup meant you could easily rack up very long phone calls - thankfully untimed - as long as your ISP didn’t enforce a 4 hour session limit. That would’ve been quite prohibitive in this setup I think: way too many local calls would’ve not gone very far with my parents footing the bill. Oh not to mention if you ever dialled your ISP and then your username or password was incorrect: what a great way to spend 25 cents to find that out! I have a log somewhere of having sustained a single phone call for a whole month with our provider “Emu Net”. It was operated by a passionate fellow out of Emu Plains and unfortunately never really made much money and had to be packed up in the early 2000’s. I cannot imagine calling someone for an entire month on a single call, but that’s exactly what our trust little NetComm modem was able to do. That’s a lot of stability. For times when the ‘internet’ was boring, I got into a few local Bulletin Board Systems. I know I’m late to this party, because they were in full swing by the time 1996 came around, but sometimes you just needed a break from Netscape Navigator and you really just wanted to download some shareware or play Legend of the Red Dragon (LORD). All of the BBS’s below I didn’t actually recall exactly, but with enough sleuthing I was able to find some familiar names. For this, I found in the next suburb over - Glossodia - was a local BBS called Restless. I’ve done some trawling around the modern internet and there are still scraps of information to be found about this much lost network of interconnected modems. This details a lot about what the Restless BBS was capable of and the phone number: 045 766 000. Wow, how did they get that number? Must’ve worked for Telstra or something. Worthy of note the 045 area code: the same as my location and it pre-dates changing everyone’s numbers to 8 digitals (would have changed to 02 4576 6000). I never really looked into Fidonet much but it does still seem to be alive. 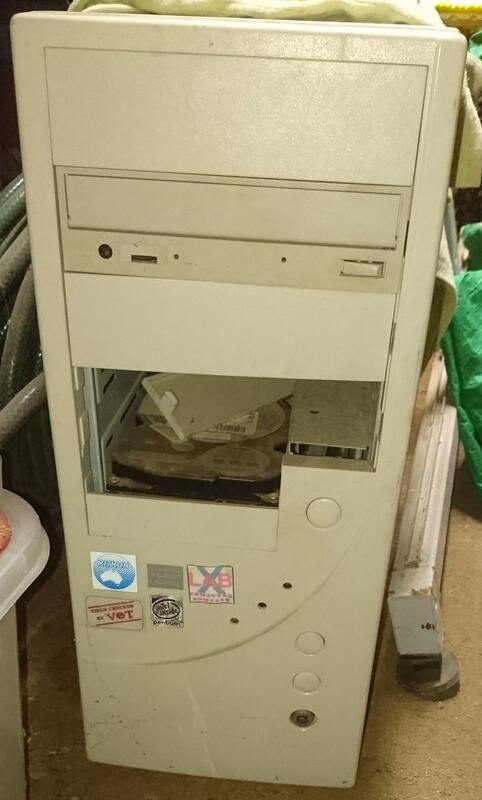 Another BBS I connected to was called The Space Station and it was in the 047 area code - familiar for those looking at phone numbers in Penrith or the Blue Mountains and generally accepted as being a “local call” from the 045 area code where I lived. Great! Another “local” BBS. 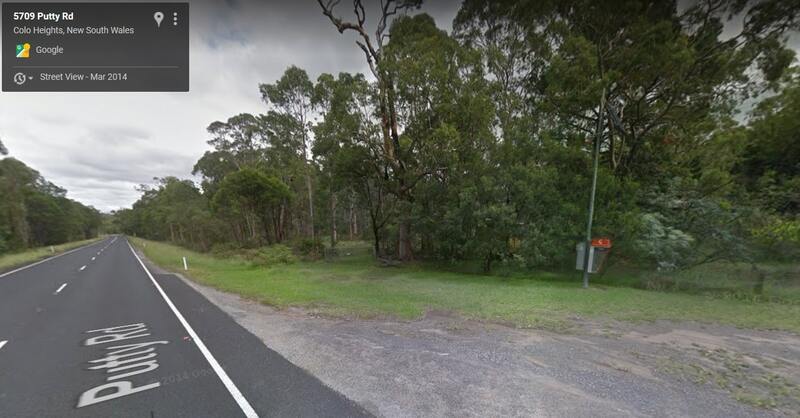 I had no idea that this BBS was in Warragamba (actually, technically Silverdale based on the register above but I probably referred to it as Warragamba since that’s the location of one of Sydney’s major water supply dams). My parents got uh quite a bit of bill shock that I was making a lot of STD calls. Normally you get extra pips on the modem to tell you the call will be timed, but I either didn’t notice or had the modem sound turned off. I remember doing a lot of house work in return for the big bill AND then meticulously calling up Telstra to find out the call cost of every single number I was going to dial from that point on. I never did call an STD number again, which was probably a good thing. Unfortunate name that, STD. Sometimes the internet just wasn’t very good and a direct connection was the most reliable way to transfer data or play a game with your friend in another suburb. This meant dialling up using an in-built modem feature which was pretty popular in a lot of games at the time. I remember dialling up friends to play Command and Conquer, Descent and it worked rather well! This was plagued by having to set up the connection to being with by sharing your phone number and organising a call. Most of this activity happened when we only had 1 phone line, so my family were quite irritated by the constant ringing of the phone and being unsure whether they should answer (and hopefully find a person on the other end) or leave it for the modem. When calling your friend back, are you trying to establish the connection or calling them to say it’s not working? Tough times. I remember marvelling at the ability to stream radio from pretty much anywhere in the world, but the quality was so poor. So I used to create a giant buffer in WinAMP (ah, remember WinAMP? It really whipped the llamas arse) and set it to stream a 128kb mp3 stream, powered by Shoutcast. Eventually, after a couple of hours, the buffer was full and I could enjoy a few minutes of much improved quality audio. The main station I would stream was Digitally Imported since I was quite into trance at the time. Good to see they’re still around! It’s a little hard to imagine now just how bad 24kbit MP3 was: but that’s the highest bitrate you could reliably play on a 33.6k modem - assuming nobody else was doing anything at all on the same connection. What was good back then? This sandwich board probably toured all ‘round the countryside at the time. Sadly it still drops out when it rains. Despite all of the month-long phone calls and other shenanigans, things still performed pretty badly during and after storms. Most of the time we had a storm we would unplug everything - I had a job at the time repairing computers and we would always sell a lot of modems after a storm (my boss at the time would rub his hands together with glee) - so I was well conditioned to unplugging things. I guess it could be one reason why that little modem still worked after 10 solid years of service. 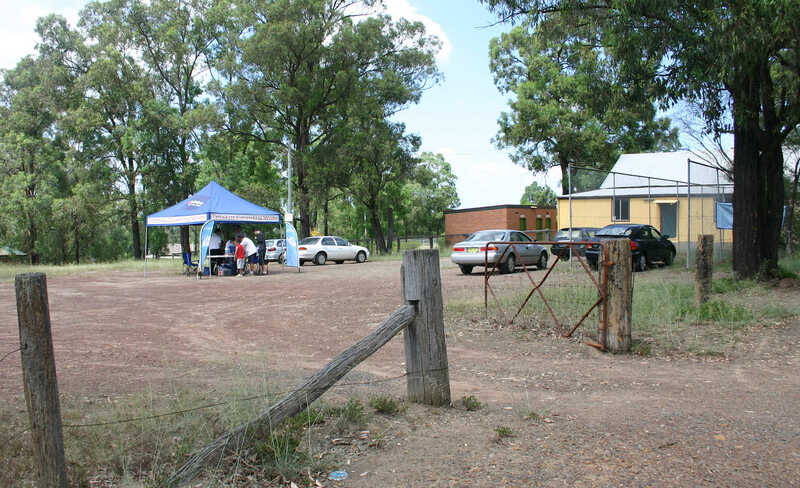 There was a little tent that popped up at Stanley Park in February of 2006 to say broadband had finally arrived in East Kurrajong. I asked the fellow from Telstra at the stand if I could chose another ISP and he begrudgingly said I could. ADSL was such a godsend that meant we didn’t need 2 lines, we didn’t need to pay for so many local calls and we didn’t have to worry about anyone interrupting the connection (as long as you properly filtered your phones). Sure those early “3 gig cap” plans were awful (you could easily download 3GB in a month on dial-up) but it was better than nothing. I can’t believe I survived all of high school and uni on dial-up when most of my friends by that stage were on cable internet… but I guess people survived on 300 baud modems and then nothing before that (or maybe Teletext?) so it wasn’t so bad.